Gargouri, Y., Harnad, S., & Larivière, V. (2013). Ten-year Analysis of University of Minho Green OA Self-Archiving Mandate, dans (Eds.) 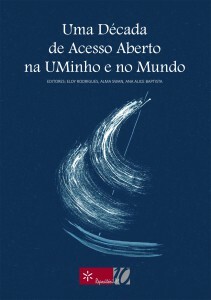 E. Rodrigues, A. Swan & A. Baptist, Uma Década de Acesso Aberto na UMinho e no Mundo (pp. 48-66). Braga: Universidade do Minho. University of Minho adopted the first university-wide Green Open Access Mandate in Europe in 2004, requiring all research output to be self-archived in the institution’s repository. The mandate was upgraded in 2011 to designate the repository as the sole mechanism for submitting publications for individual and institutional research performance assessment. A 10-year analysis shows that deposit rates are increasing and deposit delays are decreasing. Once the rest of the world follows Minho’s example, universal Green OA will not be far behind. Ce contenu a été mis à jour le 28 mars 2017 à 18 h 41 min.